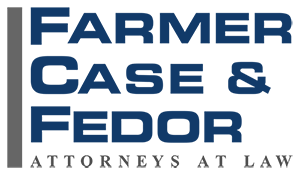 Matthew H. Tesfai is an Associate Attorney at Farmer, Case, & Fedor. Mr. Tesfai joins the firm with experience in general civil litigation, criminal defense, employment, real estate, and contract law. His current practice centers on general civil litigation focusing on vehicular liability, insurance coverage, and premises liability. Bio information coming soon. If you need to contact this associate, please use the contact form below. Mr. Tesfai earned his Juris Doctor from the Thomas Jefferson School of Law, where he secured a clerkship with the Hon. Richard Monroy of the San Diego County Superior Court. He is a member of the San Diego County Bar Association and San Diego Defense Lawyers. Prior to graduating law school, Mr. Tesfai developed extensive litigation experience with the San Diego County Public Defender’s South Bay Office as a Certified Legal Intern with the Adult Criminal Division. He received his Bachelor’s degree in Political Science from Emory University where he was actively involved with his school’s alumni relations center and efforts to rebuild New Orleans in the wake of Hurricane Katrina. He is a proud native San Diegan. In his free time, Mr. Tesfai enjoys watching soccer, spending time with his dog, and fine dining.